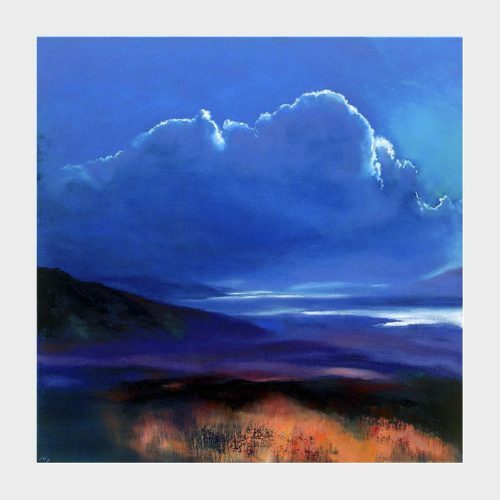 In this quiet painting, a thin lace-like moonlight trims the heavy cloud looming over the west coast of Ireland. It's the blue hour, that short time of day before night time when colours are deep and intense. Some rays of light brighten the sea to a silver shimmer while patches of grass take on a beautiful salmon colour that contrasts nicely with the deep blue sky.